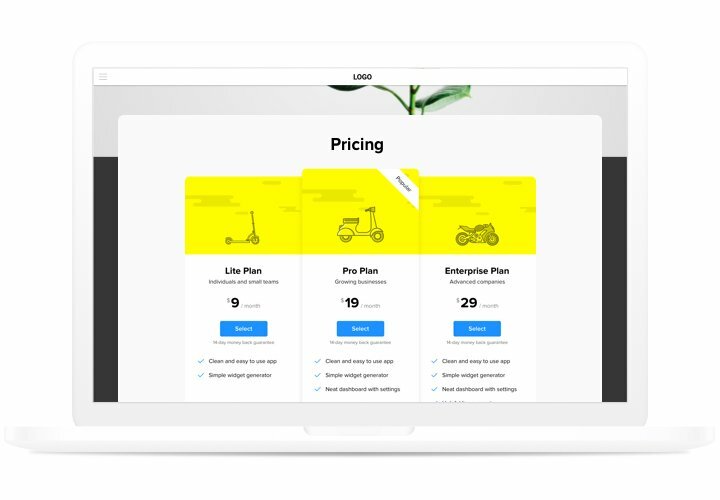 Pricing plays one of the main roles in convincing clients to buy your product or service. Widget by our team not only allows shoppers of the website to visualize and compare available price options quickly. It also helps uplift conversion using the freshest trends in pricing design and configuration. Get sales of your site to the new height with powerful pricing. Demonstrate most simply and effectively all the info, your possible customers are searching for and convince them to make the right decision. 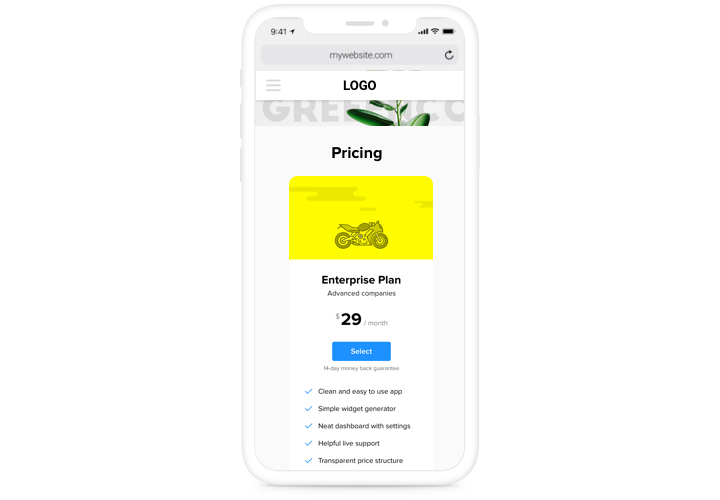 Having an extensive variety of options allows shaping different types of pricing in a couple of steps, you will have the one that will be totally efficient for your website. Make your offers enticing for clients. Choose various colors, insert elements, add images, to make your pricing entertaining for clients and influencing positively the purchasing result. 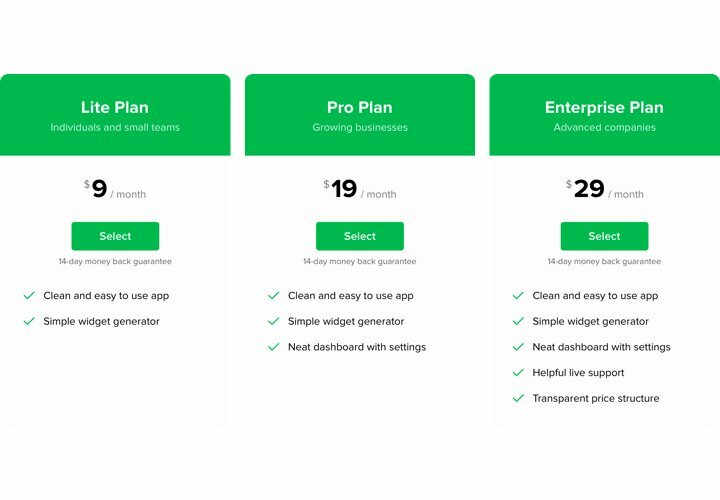 The benefits that make our widget the best Pricing Table for Webflow websites. An instruction on embedding Elfsight widget to a website. To perform it, you don’t need knowledge in web development and it will not take much time. Just several easy steps and 1 minute. Using our free demo, create a plugin with needed layout and options. Acquire the code for adding the plugin. 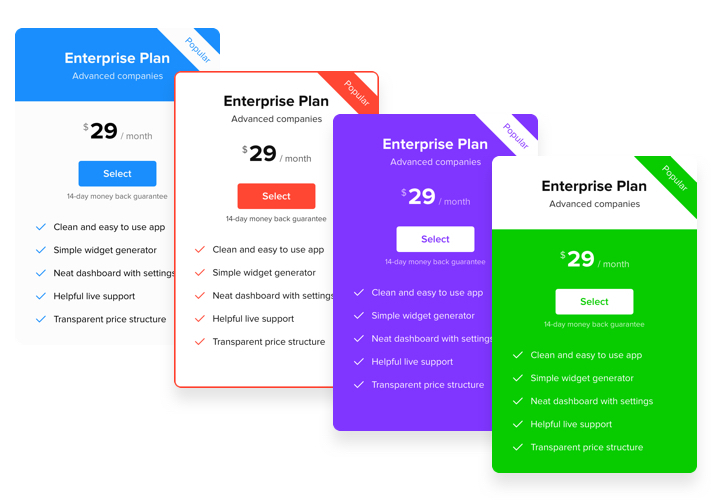 After widget setting, get the code for Pricing plugin from the appeared window on Elfsight Apps. Embed the plugin on Webflow website. Insert the plugin into the necessary spot of the website and save the changes. Enter your website, to see your Pricing. Having queries with setup of the widget? 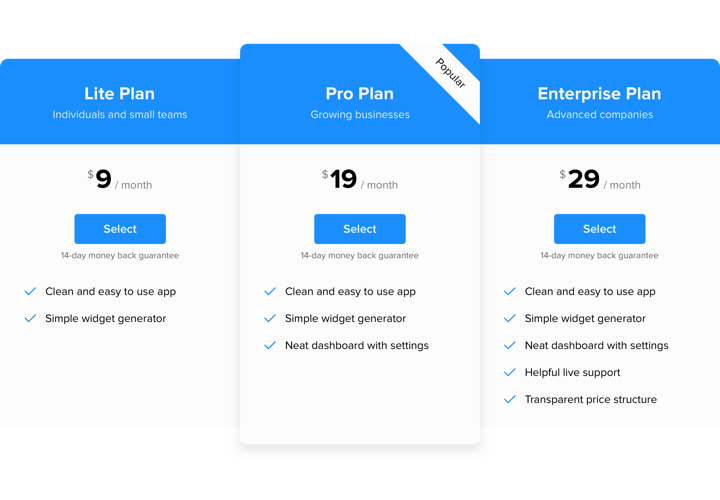 See our full guide «How to install pricing table on a Webflow» or address our customer support, which will help with any roblems quickly. 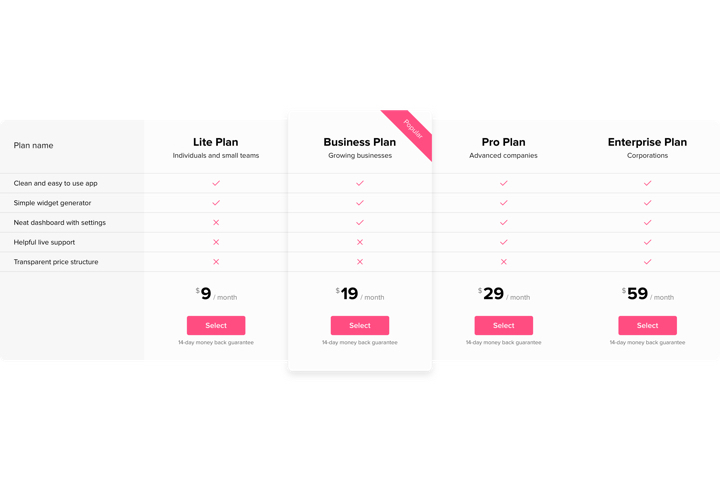 Create the best Webflow Pricing Table in only 40 seconds!